The idea of a "gap" between research done in academia and its translation into marketable products certainly is not new. What is new are the steps some academic institutions and companies are taking to bridge that gap. 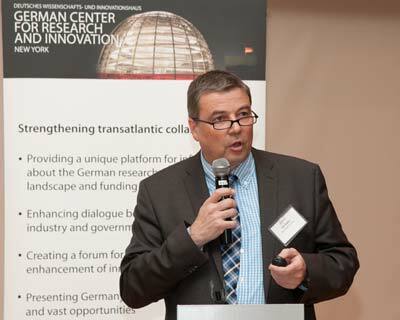 The ingredients for successful strategic partnerships were discussed by panelists at an event called "Bridging the Innovation Gap Between Academia and Industry," held last month at the German Center for Research and Innovation in New York City. Two representatives from academia provided insights into their institutions' efforts to ensure that promising research has at least some chance of being "translated" into useful products, and an industry representative discussed some of the hurdles and solutions. Dr. Jörn Erselius, Managing Director at Max Planck Innovation (MI) in Munich, Germany, gave an overview of the organization's success in bringing research to market. Securing industry funding for very early stage projects is difficult, he said, because "industry usually is looking for much riper technologies to support." Therefore, MI undertook several initiatives to bring promising projects to the point that they could be considered for collaborations. MI, which opened in 1970, now submits about 80 patent applications annually, receives $20-$30 million yearly from licensing agreements (most notably from its agreement with Pfizer for the blockbuster drug sunitinib — Sutent — and has helped fund 112 spinoff companies (companies built around academic discoveries) since 1990. More recently, MI opened its Life Science Inkubator, specifically to catalyze startups. Applicants go through a "rigorous evaluation," Dr. Erselius said, and if chosen, team members receive education on business and entrepreneurship, as well as assistance in putting together a business plan and fundraising. Seven projects are underway at the Inkubator, and two startups are getting ready to launch. MI is also filling a translational gap in drug development with its Lead Discovery Center GmbH, established in 2008 to link "basic research and industrial application in the field of small molecule drug discovery," Dr. Erselius observed. To date, the center has delivered four promising lead compounds and signed licensing agreements with a number of pharmaceutical and biotech companies. 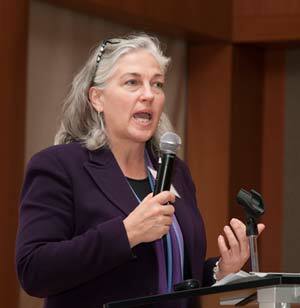 Teri Willey, VP of Business Development & Technology Transfer at Cold Spring Harbor Laboratory (CSHL) in New York, said the institution, which supports 52 investigator-led research laboratories, is an incubator for more than 20 biotechnology spinoffs and has 605 active patent cases pending for 280 technologies and 872 technology transfer agreements of various sorts. Projects at CSHL always start with "great science," Willey said. "However, we are also adamant about our involvement in commercialization because it is a critical way to achieve our mission of making sure that important discoveries reach the public in a meaningful way." CSHL takes a stepwise approach to collaboration. "We start with great science and great scientists who have good ideas, then try to assess whether a particular idea might have the greatest impact if we partner with investors or industry to deliver it to the public," Willey explained. Subsequent steps include selection of the right partner; articulation and documentation of terms; executing a contract that respects the integrity and commitment of all parties; and deliberate monitoring post deal. "There are no shortcuts, and you can't start in the middle of the process," she stressed. 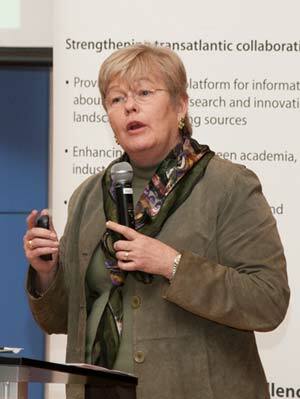 Panelist Dr. Barbara Dalton, Director of the Pfizer Ventures Investments team in New York City, praised the strategies and successes of both MI and CSHL, but emphasized that many more such efforts by academia are needed to bring basic research projects to the point where they are actually fundable businesses. "Big wins" like MI's Sutent are extremely rare, she said. "Institutions probably have to spin out 100 companies to get one or two that might result in a successful partnership and product, and so for the most part, these ventures are really, really risky." The current funding climate has raised the stakes for institutions looking for corporate or venture capital funding, Dr. Dalton emphasized. Thirty percent of the life science venture capital firms in the United States have gone out of business in recent years, and companies such as Pfizer have cut their R&D budgets. 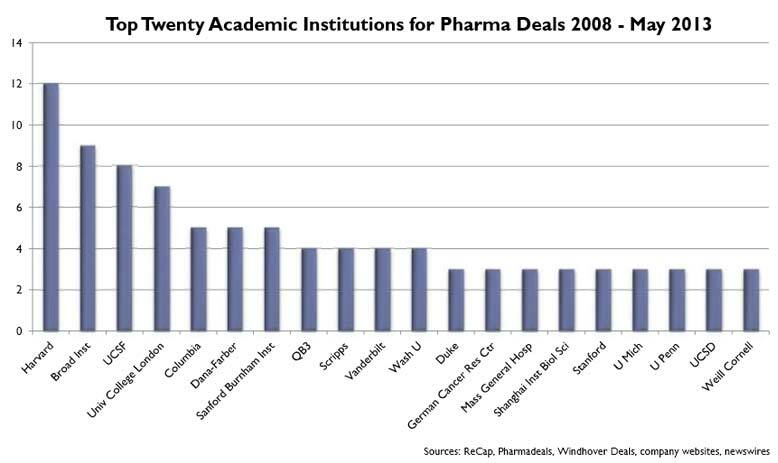 Six years ago, when Dr. Dalton joined Pfizer, that budget was $11 billion; today it's $6.5 billion. "In the days when we had a bigger budget, we could do a lot more academic research collaborations," she said. "But now there's not a lot of extra money to do things that would be nice to do versus things we must do, so there will be less money for these types of collaborations going forward." How can academic institutions leverage their assets to secure funding in a tight economy and also deliver ROI? "For a venture capitalist, it all comes down to the people — that's really what we invest in," Dr. Dalton said. 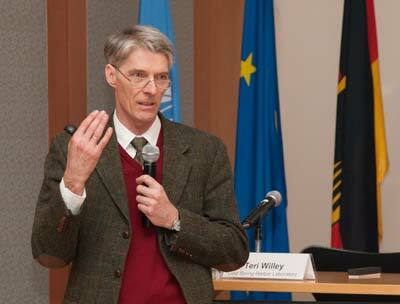 But during the discussion period, moderator Dr. Mark Ebers, Professor of Business Administration, Corporate Development and Organization at the University of Cologne, remarked that "researchers and industrials don't mix very well." They're like oil and water because they have very different goals. Researchers are striving to find the truth, and somebody working in the company is striving to find the profit. The researcher wants to disclose his findings to wider world, and the company doesn't necessarily want that. "This is why investing in entrepreneurs in residence, or EIRs, is critical," Dr. Dalton responded. "Many of us in industry say the same thing. You've probably heard it as 'we bet on jockeys, not the horses.' We say, 'mediocre technology in the hands of a superb team can soar, whereas superior technology in the hands of a mediocre team will go nowhere.'" The term "EIR" emerged from the venture capital community, Dr. Dalton explained. "They're what I call 'retreads' — people who've been there, done that. They've had experience. The venture community tries to bring them in-house and use them again and again in their decision making processes. But I suggest that the academic community could also create EIRs internally to facilitate the transit of projects to companies, and from companies to licenses." 1. The ability to talk and write clearly. "The common complaint about scientists is that they can't tell their mother or grandmother what they do. You need to be extremely articulate about very technically detailed information, and you also need to write in a way that can help the general population understand what you're doing." 2. The power of persuasion. "This means being able to not only talk and write about science, but also to persuade someone else that you're taking the right direction in your project. It's really about salesmanship backed up with facts, because we know there's a fine line between a good sales pitch and a used-car salesman." 3. Leadership skills. "Some people are better suited for leadership than others. Therefore, it behooves academic institutions to identify those who demonstrate good leadership skills and sponsor and support them. Often, young scientists may be the best people to translate the discoveries of your most brilliant scientists — who only want to stay in the lab — to the world, and provide the persuasive arguments and leadership going forward." If persuasive, articulate scientists aren't available, someone like Willey or Dr. Erselius might function in their place. 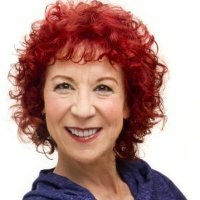 The differences in goals and temperaments between academics and people working in industry are why she often acts as a "business agent" for scientists, in the same way that a business agent would work for an artist or singer, Willey said. "At CSHL, we have people who are very talented; we want to make sure to leverage those talents; we want to capture a return on those talents, but we have to do it in such a way that they're happy with it because if they're not happy, I'm not happy," she said. "Some of these scientists are intense, but they're smart and principle-centered, and a joy to work with." On the other side of the coin, "one of the most difficult, but critical, things we do is to find the right partner to commercialize our technology, whether it's the right investors or the startup management, or the right company to work with," Willey said. Here, she looks for "mutual appreciation of value" between partners and an understanding that an arrangement that reflects CHSL's "bottom line" isn't just about the financial side. "It's all very easy to say, but when it comes down to negotiating a set of terms and executing agreements, it's not easily done and it doesn't always work," she acknowledges. "But when it does work, and everyone's in agreement, it's one of the most satisfying things to be involved in."